To mark their 40th anniversary, The Crafts Council of Ireland have designated 2011 as the Year of Craft. The Royal Hibernian Academy have decided to celebrate this by opening the retail space at its city centre premises (15 Ely Place, Dublin 2) as a Pop-Up Shop, to showcase the best upcoming Irish craft workers and designers. Genius idea. The pop up shop is open from the 4th March to the 30th July this year. The ‘tenants’ will be changing over every so often. It is well worth popping in every couple of weeks to see what the different creatives have on offer. To check the full schedule and descriptions click here. 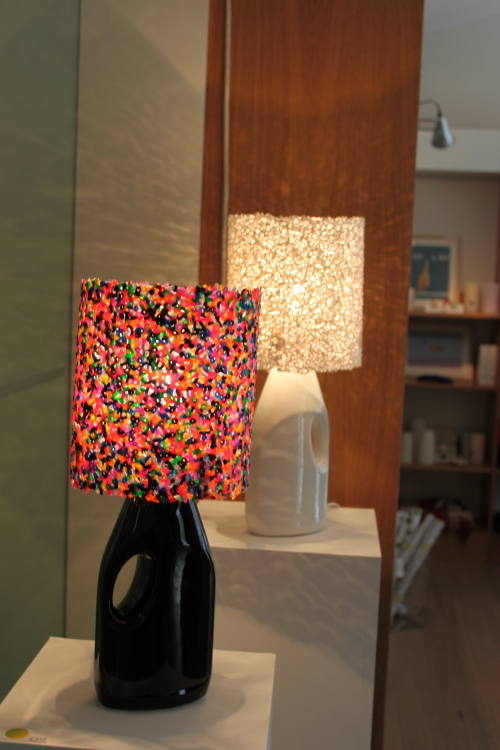 The Irish Design Shop got the show on the road and they are at the RHA until the 18th March. The range of delectable goodies on sale includes; pottery, jewelery, stationery, lamps and textiles. If you can’t get to the Pop-Up shop before they make way for the next ‘tenant’ you can find them at their permanent home Bow Lane East, Dublin 2. I am always on the look out for different and interesting cards. I found the cards pictured above at the Pop Up Shop. 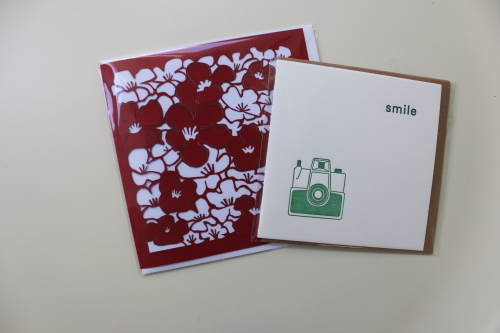 The red flowers are laser cut and the smile card is letterpress printed.